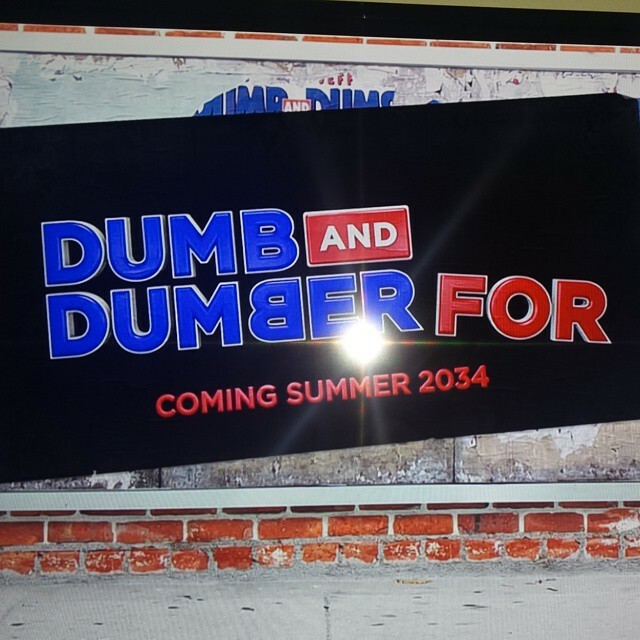 Fans will forever be thankful to the Farrelly Brothers, Jim Carrey and Jeff Daniels for giving a chance to see the sequel "Dumb and Dumber To". Twenty year later we got to see what Lloyd and Harry were up to and it was definitely worth the wait. With the launch of the movie "Dumb and Dumber To" on DVD & Blu-ray in USA and in many others countries as the weeks pass by, we will get to keep Lloyd and Harry forever with us… or will they go on another adventure? Has anyone been talking to you about a "Dumb and Dumber Three" yet? Was the studio knocking on your door going, "We've got to do a third one!" Well, yeah! New Line and Warner Bros., who own the rights to it, have already said, "Hey, if you guys want to do another one, we will." And again, we're like, that wouldn't be the next thing. It would be better in a few years. But yeah, I would definitely do it. That's the one movie [I'd do a sequel to]. And also, by the way, those guys… Working with Jim and Jeff, it was our first movie, Dumb & Dumber, and it was very close to our hearts. It was the movie that put us on the map. But those two guys, working with them, they're so generous, so loving. It's a fun, fun time. It's just a ball. All our movies are a lot of fun. We just make them fun because we want it to be fun for the actors, so they're loose and they go out on a limb and feel good about trying things that might not work sometimes. But this one, Dumb & Dumber, those two guys are so great. I would love just to get together with those guys again, [even] if we weren't making a movie." We at JCO have got to ask: "So you are telling me there's another chance"? We do hope to see the Farrelly Brothers work together again with Jim and we definitely want to see more of Jim Carrey and Jeff Daniels too. 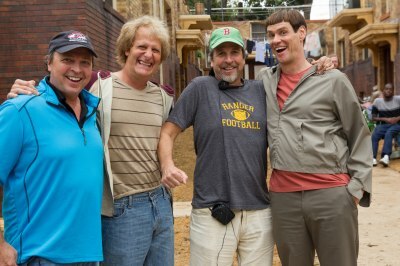 For the 4 people to work together again and for another #DumbTo… we will wait 20 more years if necessary! We at JCO will keep you updated on the #DumbnessTo that may follow. -- Source: CraveOnline. Click to comment this article.